Fellow wine lovers, do you remember the stunning private collection on our site in November? Fasten your seatbelts and get ready for round two: this same collector is back and selling another selection of wonderful wines with us. This wine enthusiast who progressively built up his cellar with vinous treasures bought directly from domains, has decided to sell another portion of his collection. 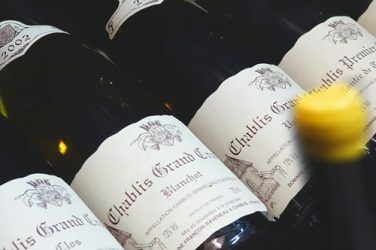 These wines have been stored in perfect conditions, some in a cellar with air conditioning and a humidity monitoring system and the rest in professional storage space in Paris. In each of his favoured regions – Burgundy, Loire, Alsace and the Rhone – this collector turned to the finest producers, very often visiting the domains. His golden rule has always been to buy wines from as directly from the source as possible, and whenever possible, directly from the domains. He has always tried to buy bottles in large formats. Fine white wines are the star of the show: you will thus find wines such as the Meursault Premier Cru Les Perrières from domain Coche Dury in several vintages, Meursaults from Comtes Lafon, the Mazis-Chambertin Grand Cru 2006 from domain d’Auvenay, as well as first-class Chablis from Raveneau and Dauvissat. In red Burgundy, the superstar of the sale is Georges Roumier’s Musigny Grand Cru 2005. The Rhone wines are just as incredible. 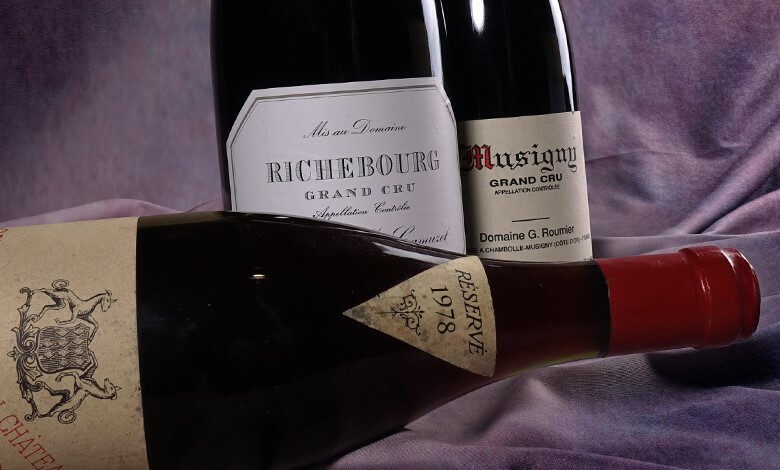 As this wine lover told us last time, “the height of finesse is a mature Rayas”, in these auctions you will find an incredible range of vintages – dating from 1978 up to 2008 – of Château Rayas’ famed Châteauneuf-du-Pape. 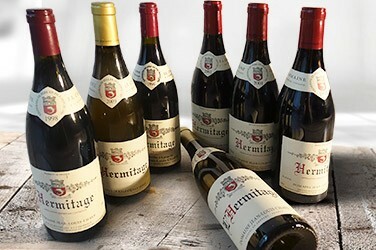 Guigal’s Côte-Rôtie (La Landonne and La Mouline) are also for sale in the 2003 and 1983 vintages respectively, as well as several vintages of Jean-Louis Chave’s Hermitage. The rarest wines of the Loire also feature in this stunning collection. Dagueneau’s Silex (2013 and 2014) as well as his incredibly rare Vin de Table La Maudit 1990. Clos Rougeard, Huet, Nicholas Joly, Stéphane Bernaudeau – to mention just a few names – await your bids. In Alsace, you will find a proliferation of excellent wines in mature vintages, with for example Marcel Deiss’ Riesling sélection de grains nobles Schœnenbourg 1994 and a magnum of the Riesling vendanges tardives Grand Cru Brand 1995 from domain Zind-Humbrecht. In other regions, you will also have the chance to win some extraordinary wines, such as Grange des Pères (2009 and 2010), the Coteau d’Aix-en-Provence 2010 from Eloi Dürrbach of Domaine de Trévallon, and the renowned Jura domain Pierre Overnoy. Rare formats of Clinet 1989 (double-magnum! 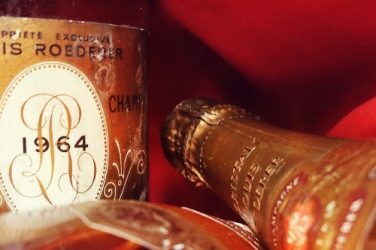 ), old vintages of Yquem, as well as Château Gilette’s sweet wine Crème de Tête in the 1945 vintage. Some of the greatest wines from abroad are also available, including Egon Muller’s world-famous Rieslings and Vega Sicilia.